Three new CDs in three years made in three different regions of the world, garnering at least as many awards and even more nominations. Toronto-based Lenka Lichtenberg has been on creative fire. She sent the Independent greetings from Prague earlier this month, as she was preparing for a concert there, and early next month, she will be in Vancouver. The group Art Without Borders is bringing Lichtenberg here for a Dec. 5 solo performance at the Norman and Annette Rothstein Theatre. Lichtenberg’s work certainly forms cultural connections, and it greatly expands upon the dialogue. Consider only her most recent recordings, all of which bring together top-notch musicians from around the world to create music that blends multiple languages, cultures, melodies and rhythms: Songs for the Breathing Walls (2012) with the help of many international artists, Embrace (2013) with Canadian world-music group Fray and Lullabies from Exile (2014) with Israel’s Yair Dalal. In addition, on her website, Lichtenberg has a virtual museum that displays some of what she has discovered about her family. Born in Prague, she didn’t find out she was Jewish until she was 9 or 10 years old. “It took me awhile to learn about my roots, as my mother did not say much about it; she did not know herself,” writes Lichtenberg. “My mother, while 100 percent Jewish, was brought up a Catholic by her family who left Judaism one by one. My great-grandmother described herself as ‘without faith’ already in 1919, and my grandmother and grandfather left Judaism some three to four years later. There were no signs of Jewish roots in the households, Christmas was celebrated. Not a completely atypical Czech Jewish urban family, I believe; assimilation was widespread. Then, the Holocaust … and my family was murdered. As an adult, I began learning. 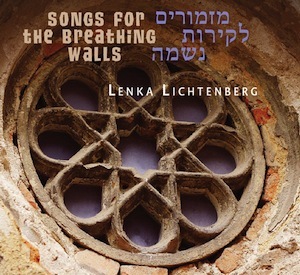 The album Songs for the Breathing Walls connects that past with the future, preserving traditional Hebrew liturgy and poems in contemporary arrangements that were performed live in 12 different synagogues, or buildings that were once synagogues or used as such (nine Czech and three in Moravia). The recordings were made from July 2010 through July 2011. “The journey ended in Terezin, where my mother’s family was incarcerated; for the first time, I walked in the halls of the building where my mother had lived for two and a half years,” writes Lichtenberg in the liner notes. Appropriately, the memorial prayer El Maleh Rachamim was recorded there. Several of the recordings are prayers from the Yizkor service, but they mix with an Adon Olam based by Dalal on a melody of Babylonian Jews, an Avinu Malkeinu arranged by Lichtenberg and other holiday or weekday prayers. In all of Lichtenberg’s music, the memory and traditions of those who have lived before can be heard – they are celebrated, and merge with the memories, traditions and passions of Lichtenberg and the artists with whom she collaborates. A completely different mood infuses Embrace than Songs for the Breathing Walls, yet it too crosses temporal, cultural and geographic borders. Recorded in Toronto with Fray, co-led by percussionist Alan Hetherington, Embrace features lyrics inspired by religious texts, folk tales, poems, family and friends, with melodies rooted in the Middle East, North America, South America and India. Lichtenberg is at home in many languages and musical styles, and every release highlights her talents, and those of the musicians with which she works, Lullabies from Exile being another example. It is one of the most distinctive collections of lullabies you’ll ever hear. With songs recorded in Israel, Canada and Czech Republic, it brings together Babylonian and Yiddish music, songs sung to Dalal and Lichtenberg by their mothers, literally intertwining them in eight medleys, each arranged from a song from each of their traditions. As explained on Dalal’s website, the collaboration on this CD “was born before a joint concert in Kosice, Slovakia, when Lichtenberg played the album’s opening lullaby, ‘Yankele,’ for Dalal to see if he could accompany her on oud. Soon, Dalal was playing an Iraqi lullaby from his childhood [‘Wien Ya Galub’] that connected to Lichtenberg’s Yiddish song with a remarkably natural intuition…. 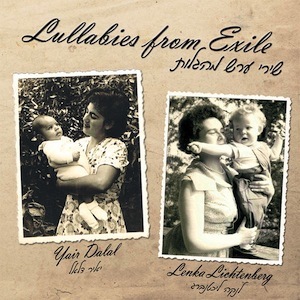 While most of these lullabies are in Judeo-Iraqi Arabic and Yiddish, the concept grew to include songs in Czech, Slovak and Hebrew in order to reflect the artists’ personal histories, as well as English, to acknowledge the experience of the English-speaking Diaspora.” The CD also includes two non-medleys. While it is tempting, having listened to these latest recordings, to say that Lichtenberg’s Jewish music is all grown up, so to speak, written and performed with a confidence and skill that is remarkable, she seems like someone who will continually push herself to keep growing, experimenting in each new project. And, of course, she has several on the go. For more information about Lichtenberg, visit lenkalichtenberg.com. 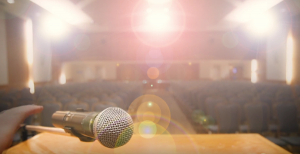 For tickets to her Dec. 5, 8 p.m., solo concert at the Rothstein Theatre, visit arwibo.org ($25) or the theatre box office at the Jewish Community Centre of Greater Vancouver ($28).